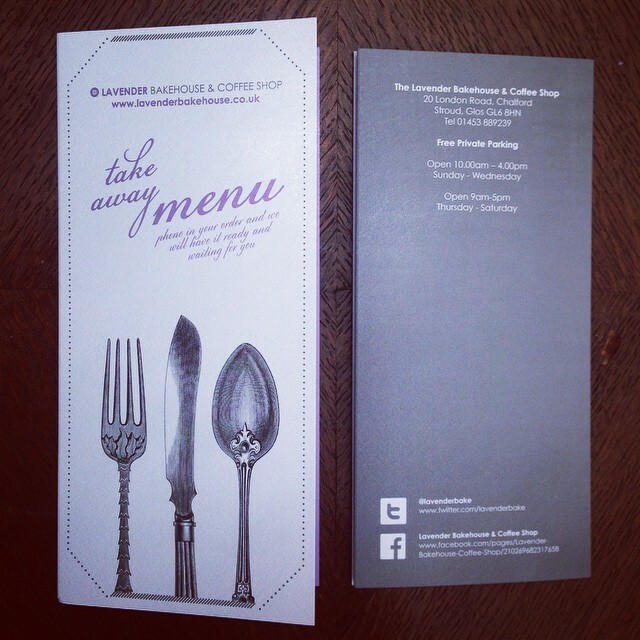 Just a quick post to share with you these roll fold leaflets we recently had designed for the Lavender Bakehouse. 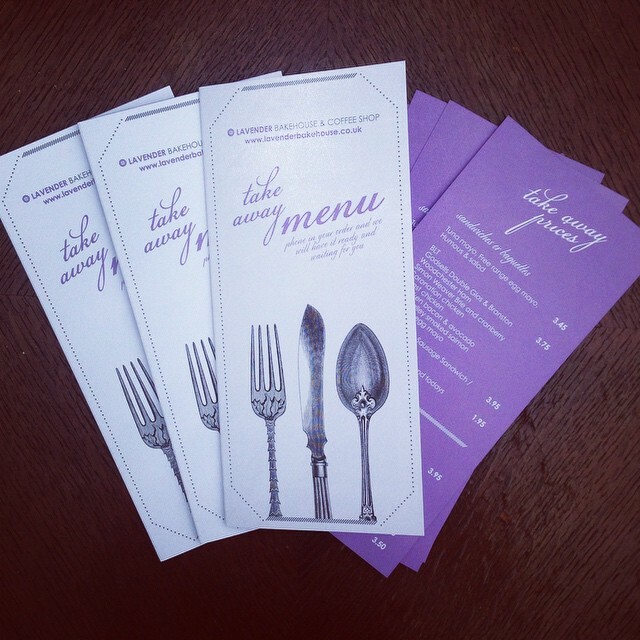 Printed on Gesso paper in a design that reflects their main menus (take a peek) – these were perfect for customers to pick up and give them insight into the extra offerings this coffee shop can provide. 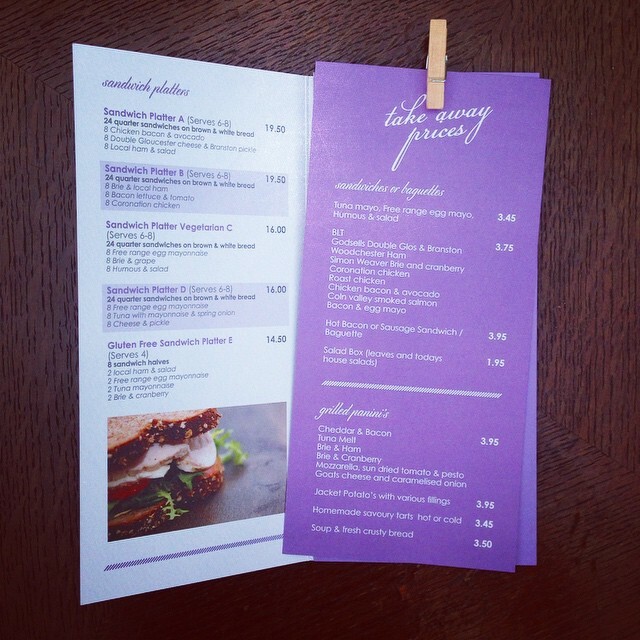 Keen to push these ‘buffet lunches’ and ‘cakes on demand’ from their coffee shop in Chalford, Stroud – the client was pleased to receive a large £120 order within a week of leaving these leaflets on the counter. We love a result.